In summary, we had 19 PSAPS that participated and supported the deployment of their Telecommunicators: Collier County SO: with a total of 36 TERT members to include the GA & TN teams. (FL-24/GA-6/TN-6) and Monroe County SO: with a total of 25 FL-TERT Members. We depart with a sense of accomplishment knowing we did our best to take care of our brothers & sisters and help them get back on their feet again and get some well-deserved rest. Thank you for your commitment to serving others. God Bless You. The success of these missions cannot be done by one person. It took a small village to make phone calls, check the database to ensure that the teams we deployed were TERT certified, explain to Directors & Supervisors what we needed, and work with their PSAPS who scrambled to switch shifts, backfill, and get their dispatches ready to travel. We are still waiting for a status report on Monroe County & Key West PD Dispatch Center. The State ESF 4/9 (Fire/Rescue) have boots on the ground and will check on their welfare. Tampa PD is helping Collier County SO and they attached two TERT Dispatchers to their Team. We are waiting to hear from other PSAPS in the state that were affected. Our PSAPS are getting slammed with calls and they are working hard. Our schools in Miami-Dade & Broward are closed until Monday, Sept. 18th. I will continue to provide updates as we receive them. 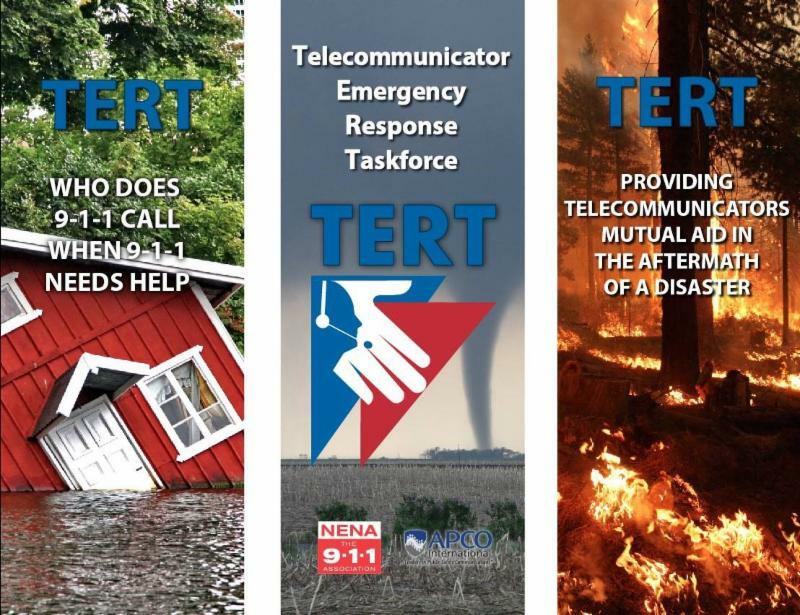 We appreciate the many emails, text, and social media posts we have received from many of our TERT Family across US. Thank you. We will post updates on the FL-TERT and NJTI-TERT Facebook pages. UPDATED 9/14/17: First TERT Team arriving in Collier County EOC in Naples, FL. Tomorrow 12 more will be deployed from our Central Region. Many still do not have power.